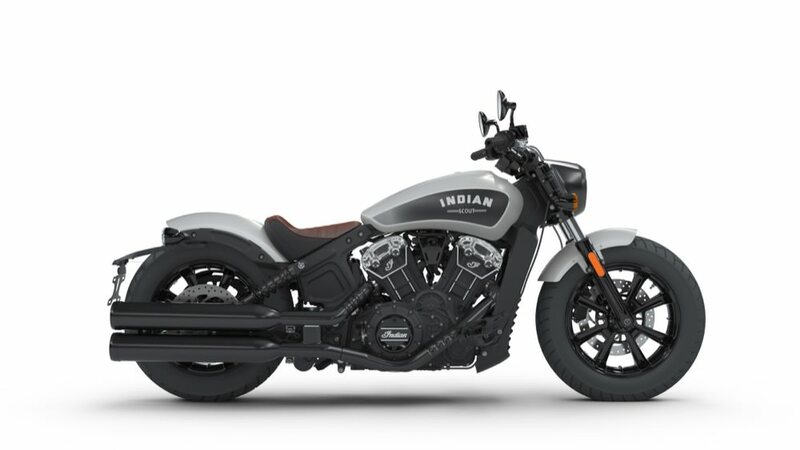 Indian Motorcycle is the latest company to jump on the trendy bobber bandwagon and has announced its new Scout Bobber that will arrive towards the end of this year. 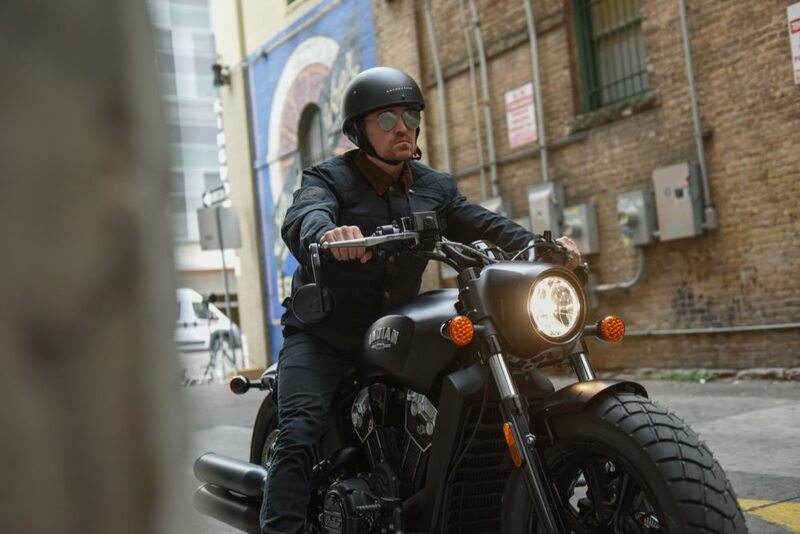 The bike is a lightly modified Scout that has come in for a modest makeover and a slightly revised riding position. 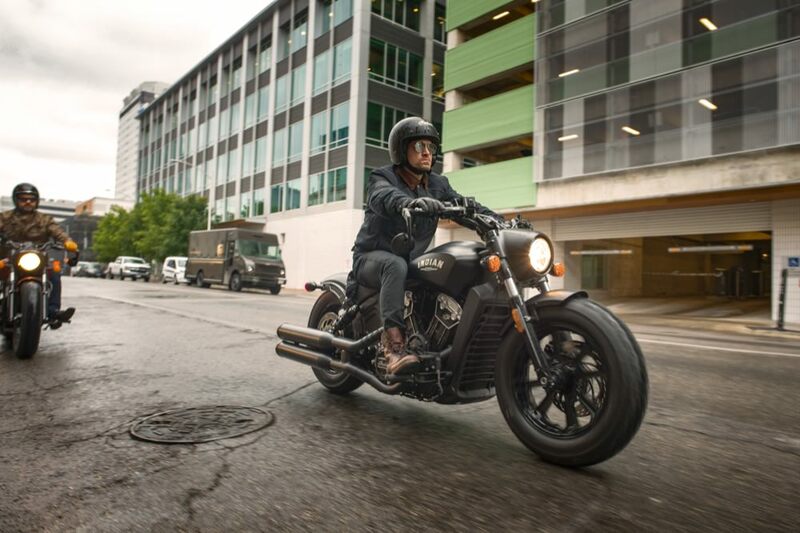 Footpegs move rearward by 38mmm, and wider handlebars result in a riding position that is less like a cruiser. 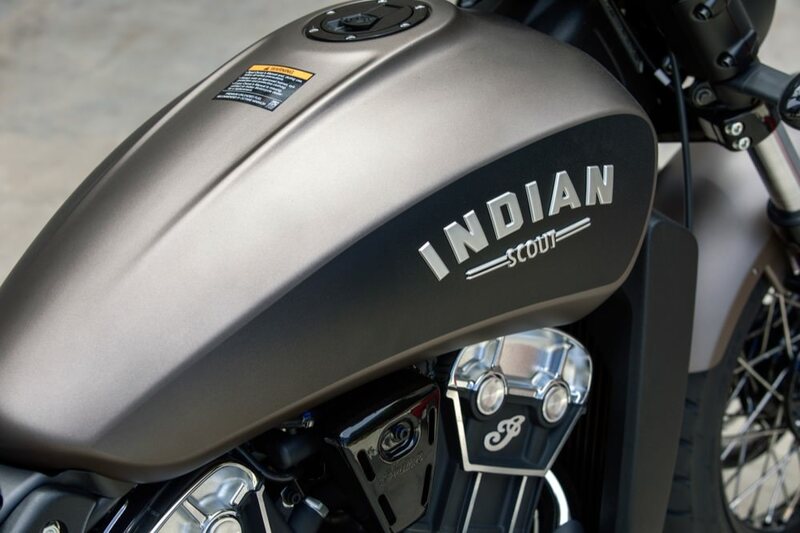 Indian has also made the rear suspension 25mm lower and added new cartridge forks to the front end. 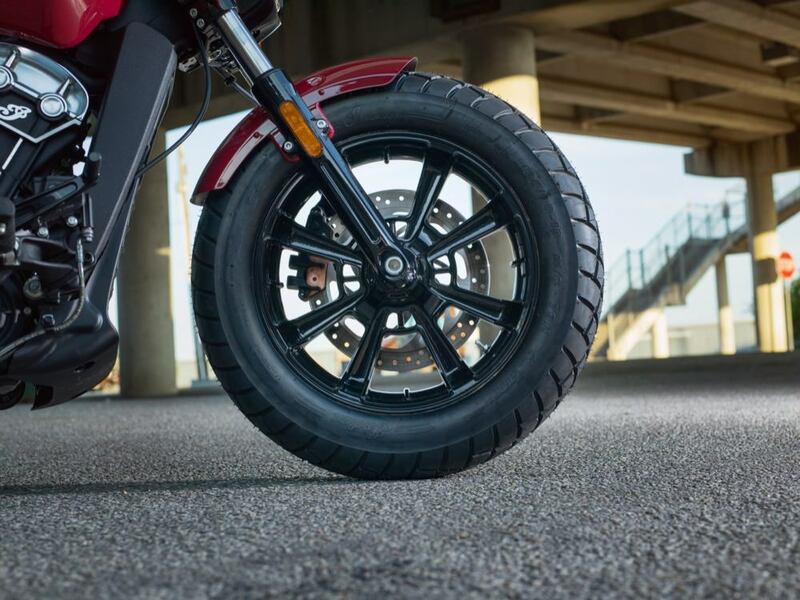 Cosmetically, blacked-out wheels come shod with knobbly tyres. It might not make the trip to your local coffee shop as sporty, but it ticks the style box. 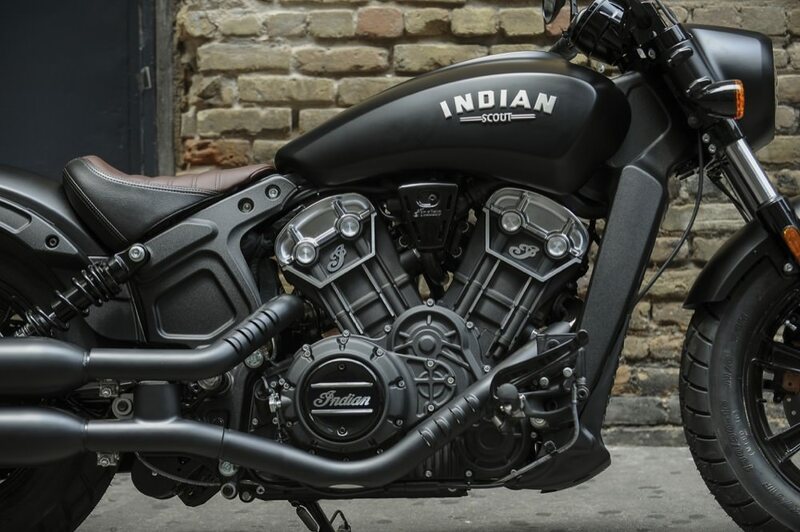 Black is very much the theme throughout the rest of the bike, with the headlight nacelle, exhaust and speedo clocks all getting the dark treatment. Chopped front and rear fenders do help give the bike a meaner image, as does the bobber seat, but it doesn’t look quite as cool as the Triumph Bonneville Bobber. 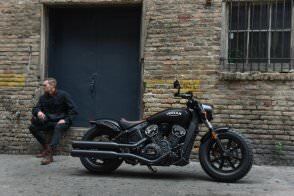 The engine is the same liquid-cooled 60-degree V-Twin with a capacity of 1,133cc and produces 94hp with 97Nm of torque. It will have a single disc with two-piston caliper up front and a single disc and caliper on the rear, both measuring 298mm. Its 12.5-litre fuel tank won’t make it a bike for globe-trotting but should be plenty for bobbing around town. Star Silver Smoke and Bronze Smoke, which is a new colour for the company.